What Makes Serviced Apartments the Best Option for Contract Workers in London? Short term contract work in the capital city of the UK, London, offers many prime career experiences, freedom of job variety and the opportunity to live in one of the world’s most flourishing cities. However, the glamour and excitement soon wear off and even the most luxurious of hotel rooms develop into an impersonal, prison-like atmosphere. Fortunately, Carlton Court offers an alternative to living from a suitcase in a small hotel room in the form of serviced apartments. Our apartments situated in Mayfair are a home away from home offering all the lavish amenities of a hotel and some more. Our self-catering apartments are larger than a standard hotel room. The size of our serviced apartments in Mayfair reduces claustrophobia and stress, and is particularly welcoming for visiting colleagues and friends. 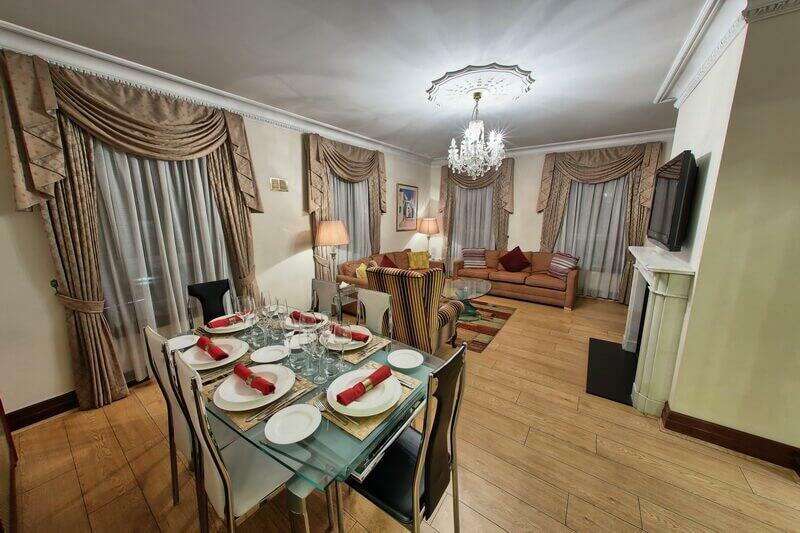 Fully furnished and stylish, work meetings or dinner parties can also be held in our serviced apartments. As our boutique flats come with separate rooms for sleeping, living and dining, it makes relaxing easier. Carlton Court’s serviced apartments are more than just a place to sleep. You can live the lifestyle that you desire in our boutique flats. If cooking helps to relax you after a hard day at work, you can prepare your own meals at our fully-integrated kitchen. The chance to eat home-style food will be reasons enough to motivate you to work hard. Even though our apartments are a lot like home, you do not have to do all the house chores by yourself. We provide housekeeping services for 7 days a week so that you do not have to worry about cleaning or changing the linens. Our cleaning professionals will make sure that you return to a tidied apartment. The life of a contract worker is hard as it is as they have to stay away from their family for months. We, at Carlton Court, hope to make things a little bit easier by offering home-like living settings. Talk to us!